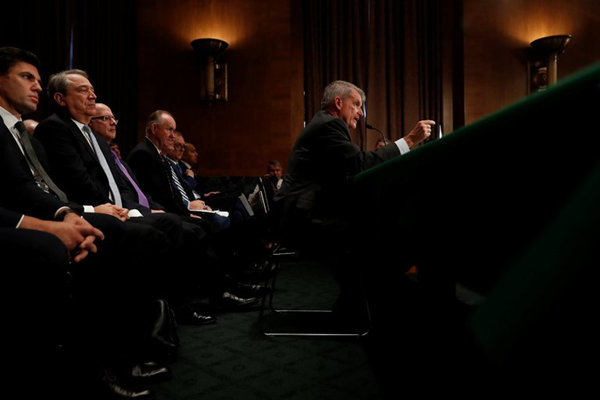 Timothy J. Sloan, Wells Fargo’s chief executive, testifying on Tuesday before the Senate Banking Committee. At the company’s annual meeting in April, with the bank under pressure for questionable sales practices, individual investors showed little engagement. Aaron P. Bernstein/Reuters. Institutional investors have been flexing their muscles on corporate governance issues this year. So why do individual investors continue to be so disengaged on these matters? A recent analysis of investor voting at annual shareholder meetings highlights a striking contrast between the views of institutional investors and those of individuals. It was conducted by Broadridge Financial Solutions, a technology and data analytics firm and PricewaterhouseCoopers, the auditing and professional services firm, and it compared the votes of endowments, pension funds and mutual funds with those of retail investors at almost 3,400 annual meetings between Jan. 1 and June 30 of this year. The analysis found that even as more institutions are voting their shares against corporate management on environmental matters, executive pay and board diversity, individuals’ votes are more likely to support the executives. Consider the figures. Of the shares voted by institutions this year, 54 percent favored shareholder proposals urging companies to make disclosures about the effects of climate change on their businesses. But only 10 percent of shares held by individuals were cast in support of these proposals. On proposals aiming to improve board diversity, almost one-third of institutional shares were cast in support. But only 14 percent of retail investors’ shares favored bringing more diversity to the ranks of corporate directors. The same split between institutions and individuals also emerged on the topic of questionable executive pay practices. At the 32 companies whose pay programs failed to win majority support from shareholders this year, individual investors were twice as likely as institutions to vote in favor of that compensation. Some 66 percent of individuals’ shares were cast in support of companies whose pay plans failed to win majority approval, compared with 32 percent of institutions’ shares. To a great degree, these figures reflect the fact that institutions hold the overwhelming portion of company shares — 70 percent to individuals’ 30 percent, Broadridge data shows. But do the results prove that individual investors are pleased with the way corporations are managing governance matters? While executives might want to believe this, it’s probably not the case, according to experts who study shareholder voting. They contend that for individual investors, the proxy voting system is onerous, frustrating and broken. A result, they say, is that annual vote tallies represent only a small portion of individual investors’ shares and views. The Broadridge-PricewaterhouseCoopers study bears this out. It found that 91 percent of the shares owned by institutional investors — but only 29 percent of those held by individuals — were voted during the most recent proxy season on director elections and shareholder proposals covering the full array of governance issues. The main reason for this divergence is that institutions are generally required to vote their shares as part of their fiduciary duty to the investors or pension beneficiaries whose money they oversee. “Institutions vote at very high rates,” said Chuck Callan, senior vice president for regulatory affairs at Broadridge, in an interview. “Retail shareholders are not required to vote by law or regulation. Typically, the understanding has been that if these shareholders have a problem with a company, they vote with their feet.” In other words, they sell their shares. But if you examine the results of almost any annual shareholder meeting, it also becomes clear that throngs of individual investors were absent this year in voting on directors and other governance issues. Most individuals keep their shares at their brokerage firms, but the brokers cannot vote them on the clients’ behalf. Instead, the investors have to cast their votes by mail, on the phone or online. Those who fail to do so are categorized as broker nonvotes in regulatory filings. Even at troubled companies, this inertia can be widespread and surprising. At Wells Fargo’s annual meeting in April, for example, when the company came under pressure for its questionable sales practices, roughly four billion shares were voted in the director elections. Broker nonvotes on those elections totaled almost 500 million shares. Institutional investors, meanwhile, have it easier when they vote their shares. They can take advantage of technological advancements in voting platforms that allow them to leave standing instructions on how they want their votes cast on particular proposals. Ms. Fisch, the law professor, asked why a similar process couldn’t be set up for individual investors. In a coming article in the Minnesota Law Review, she argued that low individual investor turnout is a result of an antiquated voting system. In the article, “Standing Voting Instructions: Empowering the Excluded Retail Investor,” she contended that “current regulatory restrictions impede market-based innovation” that could allow individual investors’ voices to be heard. The Securities and Exchange Commission has weighed in on this problem recently. Acknowledging that the low level of voting by individual investors is a concern, it sponsored a roundtable on proxy voting in 2015. A major agenda item was how to increase individual investor participation. But proposals for a system that would allow individuals to leave standing instructions for the voting of their shares have gone nowhere. As Ms. Fisch noted, the commission has voiced concerns that such a system would require investors to make voting decisions before they had received proxy materials “containing the disclosures mandated under the federal securities laws and possibly without consideration of the specific issues to be voted upon.” The agency also warned that the availability of standing voting instructions might mean investors would not bother to read the proxy statement. 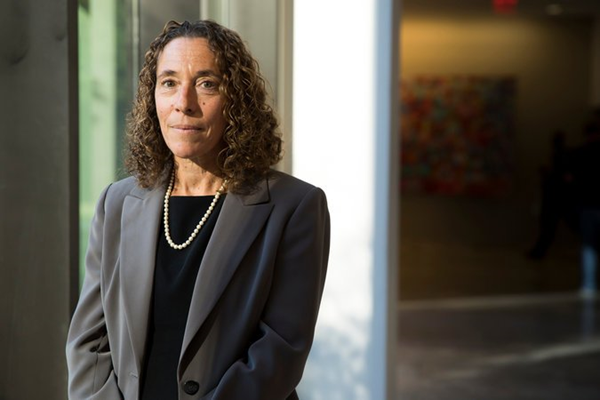 Ms. Fisch and others are convinced that individual investors are interested in the makeup of corporate boards, executive pay and other governance matters. Given that technology can lower the hurdles these shareholders face in expressing their views, it seems unfair to ignore it. A version of this article appears in print on October 8, 2017, on Page BU1 of the New York edition with the headline: Small Investors Support Boards, But Few Vote.